Dhaka, 20 Jan, Abnews: The Rohingya refugee crisis in southern Bangladesh is growing at a rapid pace and there is an urgent need to support the host communities to cope with the influx and to help the refugees who are extremely vulnerable, the World Bank said today. After visiting the Rohingya camps in the Cox's Bazar, World Bank South Asia Region Vice-President Annette Dixon praised the government of Bangladesh and its people for sheltering and caring for the large influx of Rohingya fleeing violence in Myanmar, said a press release here. She said the World Bank was ready to work with the government to help the host community and the displaced Rohingya people in Cox's Bazar. "The scale of the influx is enormous. As far as the eyes can see, lines after lines of shelters-made of plastic sheets and bamboos-stretched over the deforested hills. It is creating huge pressure on the infrastructure and services as well as on the water resources and the environment. When the monsoon approaches, the challenges with disease and natural disasters will increase," Dixon said. The release said Annette Dixon visited the registered and makeshift camps and spoke with the Rohingyas and the local community. She also visited registration centers, health and food distribution centers, children centers and women-friendly spaces. While these efforts are helping the Rohingyas cope, they will need more support to rebuild their lives. "The people and the government of Bangladesh have shown great generosity to the Rohingya people in their hour of need. As soon as the crisis broke, with the government, the local and international Non-Governmental Organizations (NGOs) and development partners extended support. This helped save thousands of lives," she said. "But the needs are much greater. If the government seeks assistance, we can mobilize more resources to address the needs of both the host communities and the Rohingya people in a way that will continue to benefit the local people after the Rohingyas leave," she added. Dixon met local government officials and representatives of the many Bangladeshi and international relief agencies and NGOs that are working to support the Rohingya population in the Cox's Bazar area. Earlier in the week, Dixon spoke at the invitation of the government at the Bangladesh Development Forum in Dhaka. She praised Bangladesh's remarkable success in reducing poverty and advancing development. As concluded a five-day visit to Bangladesh today, she said Bangladesh is an inspiration for development-it halved the number of people living in extreme poverty and created more opportunities for all. The country is at the cusp of another transformation: that of an upper middle-income country. 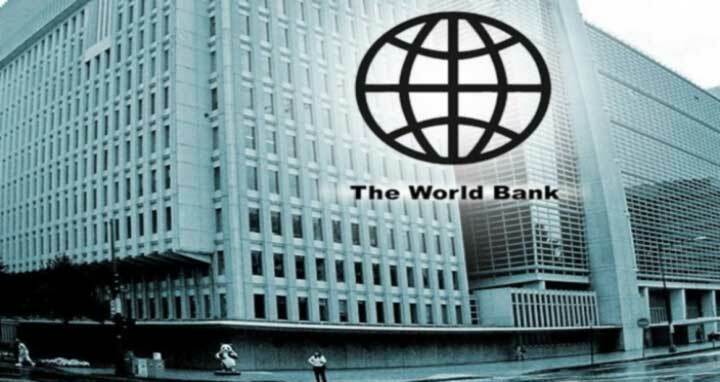 "The World Bank is committed to help Bangladesh address areas critical for achieving its vision of upper-middle income status," said the World Bank South Asia Region Vice President.